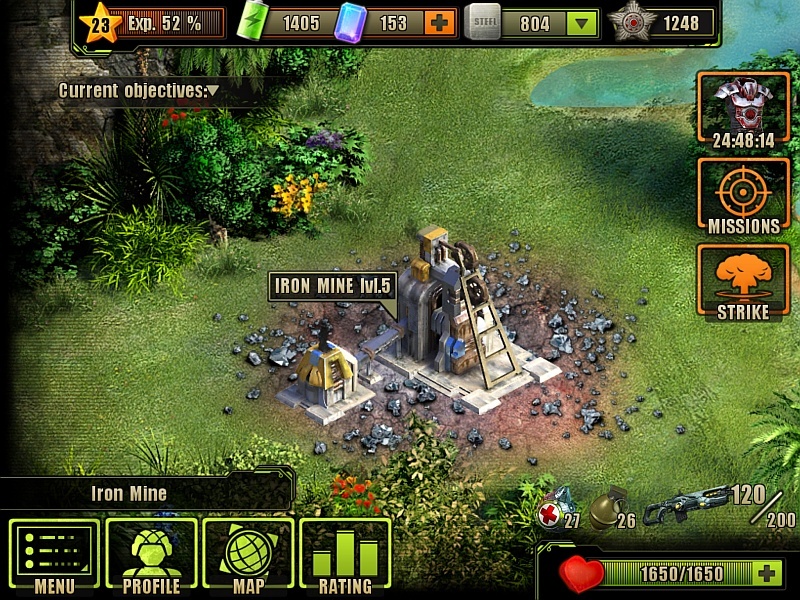 The Iron Mine is one of the many Buildings in Evolution: Battle for Utopia game. The Iron Mine supplies and stores Steel – one of the main Resources. 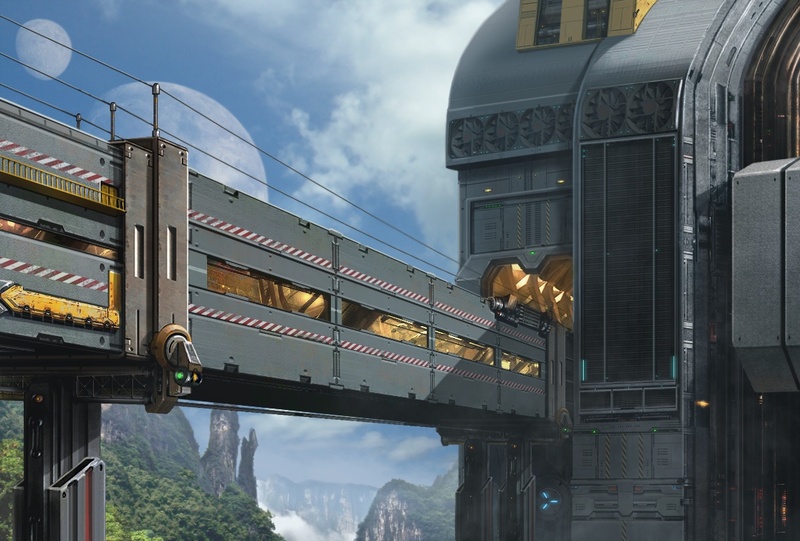 You must clear and terraform Iron Mine or/and Relic location first. Then, you can build a mine for 50 , 40 and 30 seconds of time. After building this mine it is full of 100 . 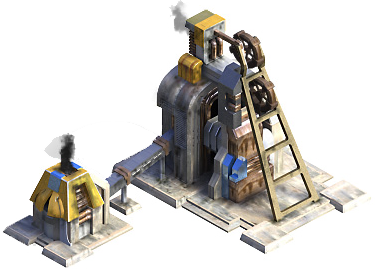 Don’t forget to collect Steel from the Mine, otherwise, further production will be stopped. 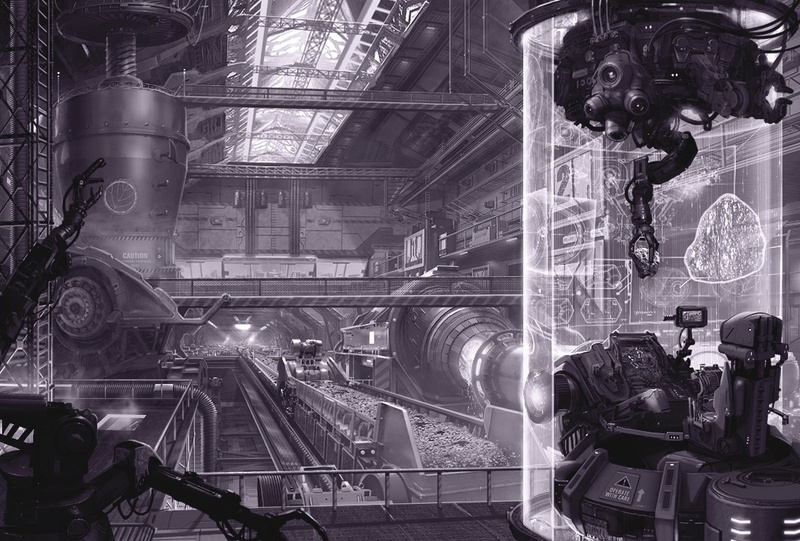 Before you collect already mined Steel from the mine, check the enough space for it in your Storage Depot. Else, the excess of Steel will disappear! 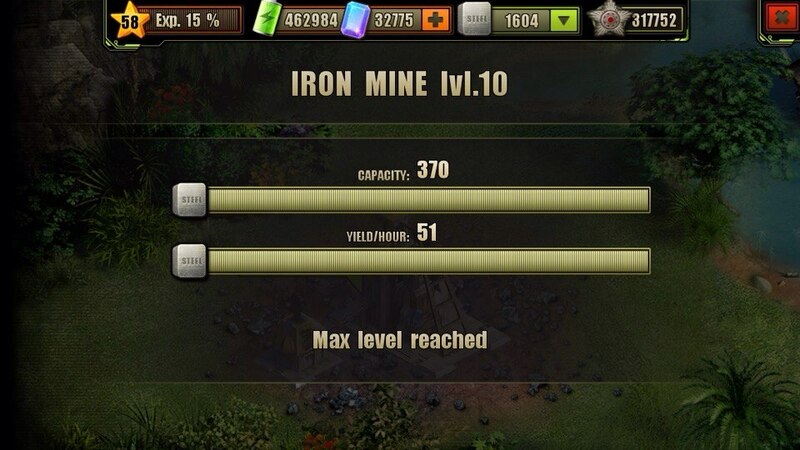 You can upgrade the Iron Mine to increase it’s rate of production and storage capacity. It may be upgraded up to level 10. You will need for this more then 14 real time hours and 300 not counting other resources.